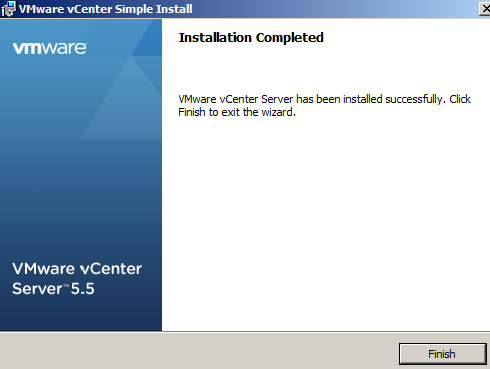 I needed a vCenter in my lab, so thought I’d get the latest 5.5U1 and jot down some notes. *I’ve given it 8GB in my lab. 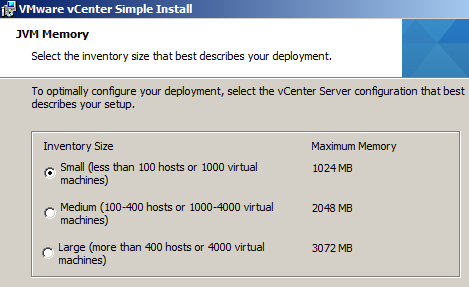 Post install, the server was using 4.25GB, so even with 6GB it might start to struggle - even in a simple lab! *I’ve used my default 2008R2 golden image with a 40GB O/S drive (not best practice for real world deployments), and post install it had 20.1GB free on the 40GB disk. 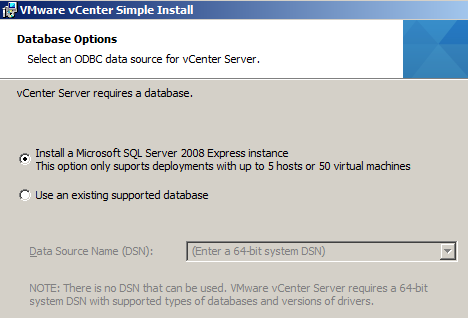 So, I’ve got my 2008R2 SP1 box, domain joined it, logged in with a domain account that has local administrative rights. 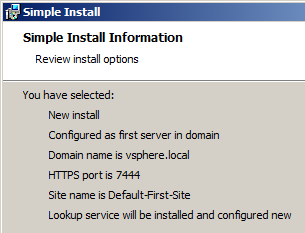 With “Simple Install” selected, I hit the Install button. Everything’s good - domain joined and DNS resolution successful! Leave the “Add your.domain.com as a native Active Directory identity source” ticked. 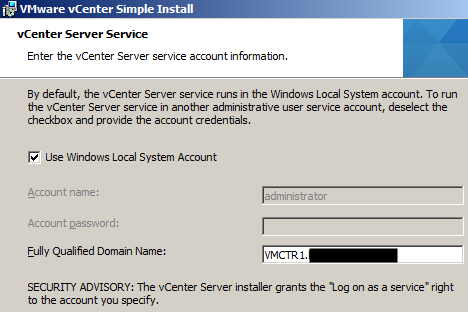 Enter the connection information for vCenter Single Sign-On. 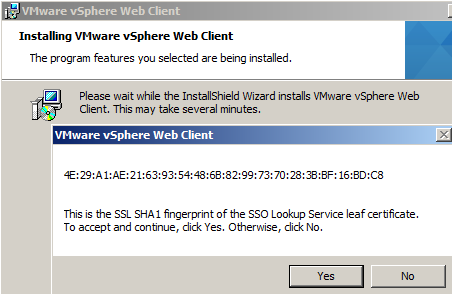 The next bit of interaction is where you’re asked to accept an SSL SHA1 fingerprint. If you have a license key you can enter it now or do it later. 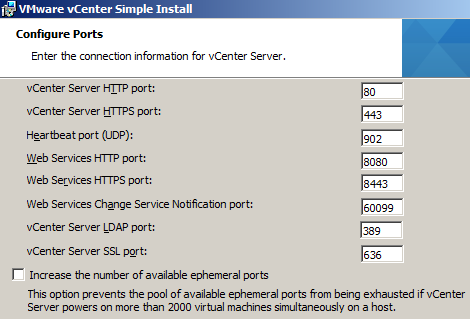 Leave the ports as default and the “Increase the number of available ephemeral ports” unchecked. Leave the Inventory Size set to small. 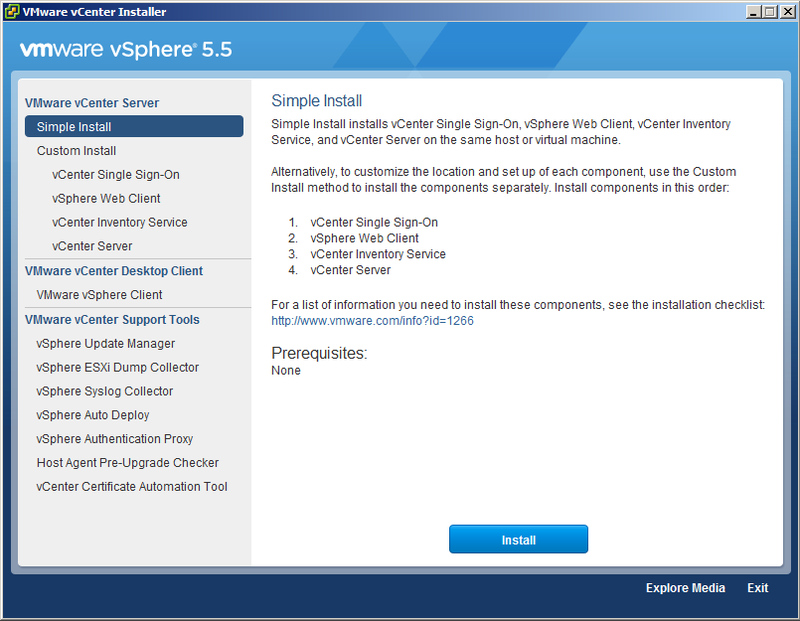 Note: If you get “VMware vCenter Installer: Stop running this script?” just click No to ignore it.